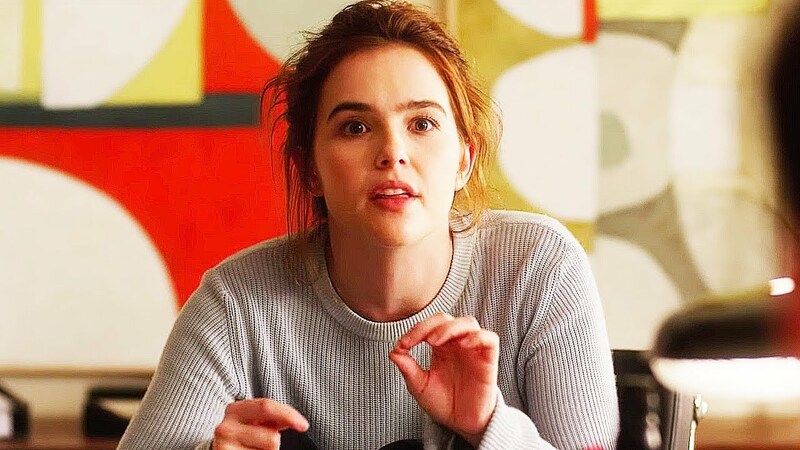 If you're not already a fan of Zoey Deutch (We can't be friends if you aren't. ), the actress is doing everything in her power to change your mind. She's been everywhere lately, from Before I Fall to James Franco's The Disaster Artist to the underrated Flower. And that's just the start because she has two more films arriving in the next couple of months. The first is her mother Lea Thompson's directorial debut, The Year of Spectacular Men, and the one we're here to get a look at now, Netflix's rom-com Set It Up. Marking the directorial debut of Claire Scanlon, whose credits include TV episodes of Brooklyn Nine-Nine and Modern Family, the comedy finds Deutch paired up with Glen Powell (Hidden Figures, Scream Queens). They play overworked office-assistant who try to get their demanding bosses (Lucy Liu and Taye Diggs) off their backs by tricking them into a romance with one another. Also starring comedians Pete Davidson and Jon Rudnitsky, Set It Up hits Netflix on June 15th.